With the Switch, Nintendo has left behind a long legacy of region-locking its consoles. Now, if you buy a console in the US, you can buy cartridges from Japan, or browse other region’s eShops for new games or cheaper prices. 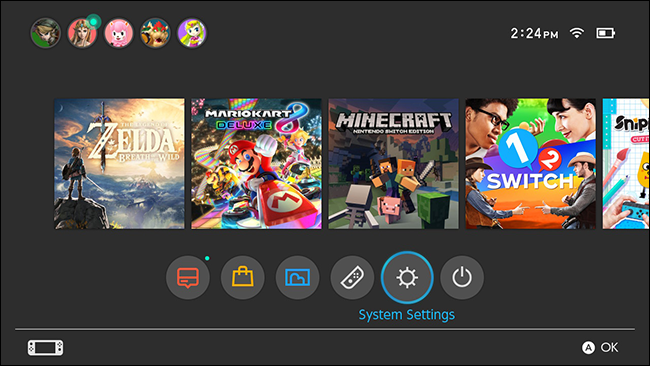 Here’s how to change the region on your Switch. While the Switch isn’t region-locked, there are still some differences that might make temporarily changing regions more appealing. A game may be released in Japan before it’s released in the US, or you might find a game for a cheaper price in another region’s eShop. Some games might never see a release in your region. If you’re into foreign games or just want to shop around, it might be worth changing your region. If you buy cartridges from another region, you’ll need to change your console’s region to play them, too. 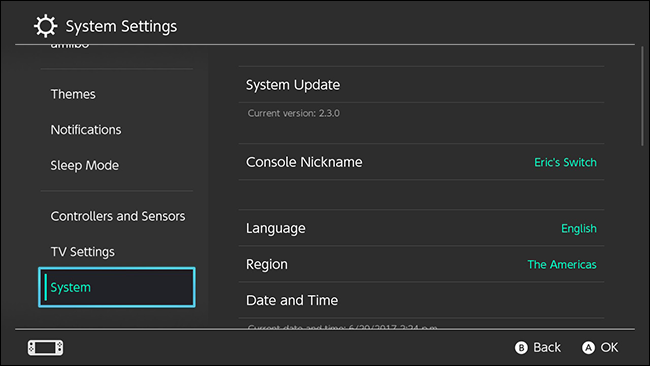 To change the region on your console, select Settings from the main menu. Scroll down to the bottom and select System. 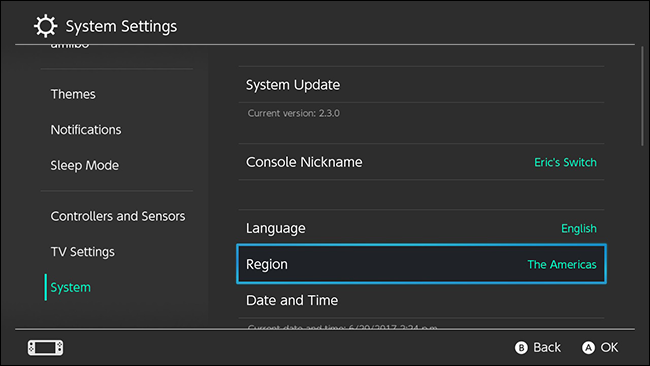 Select Region from the System menu. Choose the region you want to switch to from the pop up that appears. 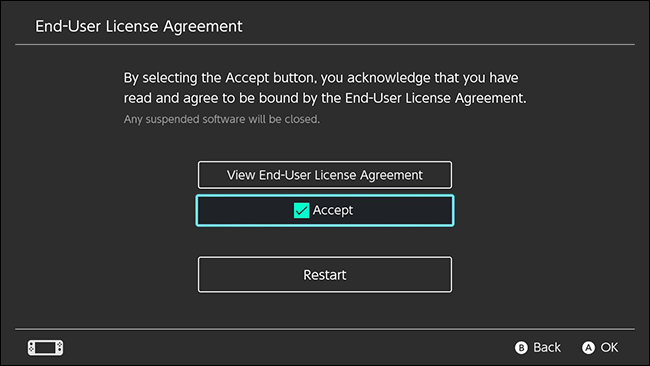 Next, you’ll need to accept a new EULA to switch regions. Click Next. On the next screen, click the Accept checkbox. Next , select Restart. 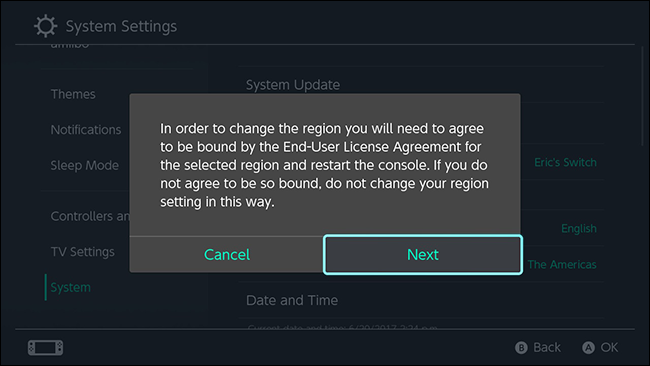 The console will reboot using the region you selected. Once your console has restarted, you can use any cartridges from the region you chose. For example, if you bought a copy of Breath of the Wild in Japan, you can play it in your console after you change your region to Japan. 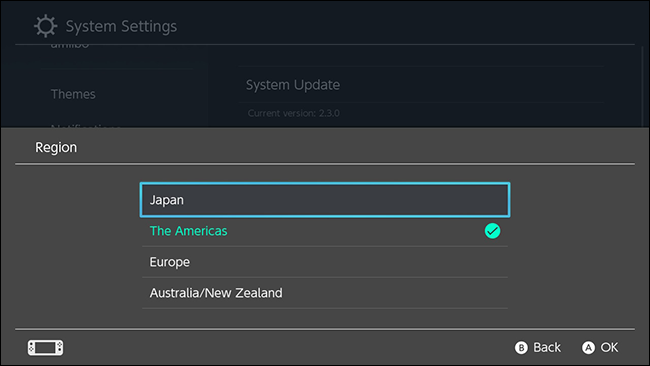 If you want to shop from another region’s eShop, you can create a second account and user profile and set the location for that account to match the region. The Switch asks you which user you’re playing as every time you open a game or the eShop, so you can always pick the user that matches the region you bought a game for every time.